Today I shot my first deer with with traditional gear. I had a little extra time around lunch and decided to try a stand my son and I put out last week. 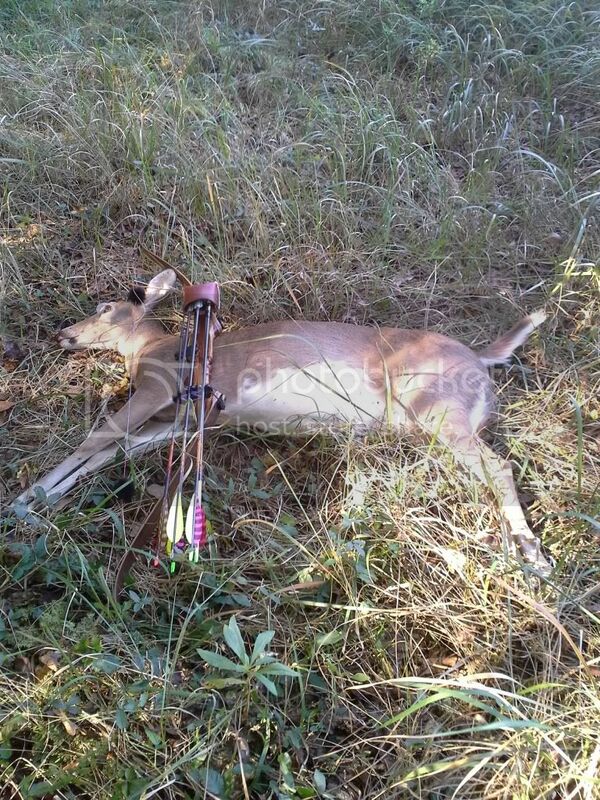 I connected on a nice doe shortly after getting settled. Complete pass through and she didnt even feel it. Walked 10steps and fell over. 225gr Tuffhead w/ 100gr adapter and 2117 footing. Good deer. Congrats on your first! Way to go on your first trad kill! Congrats on your first trad kill. congrats just tell that little boy he needs togo put some clothes on before he goes afield!!!!! Nice shooting!! A big congrats on your first trad harvest!! !